n his debut show for Celine – now sans accent – in September, Hedi Slimane made it more than clear what his intentions are for the house. 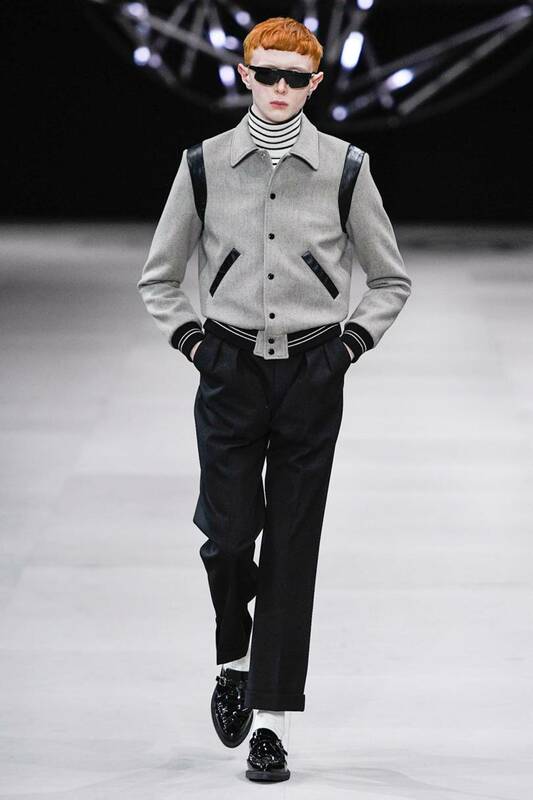 If anyone thought that some of the reactions to that show would have an effect on his vision, his first men’s show for Celine spelled out a big fat – or indeed very, very skinny – no. In fashion, as in life, there are certain forces that will make themselves heard. Slimane is one of them. He believes in his own vision to its utmost core: from the mechanical light installation that fanfares every show (this time it was a huge geometric ball) to the stick thin models that walk his runway (a new one turns 18 every minute), to the emerging rock bands that score his collections (the irreverently named Crack Cloud), and the vintage-inspired aesthetic that embodies his garments. 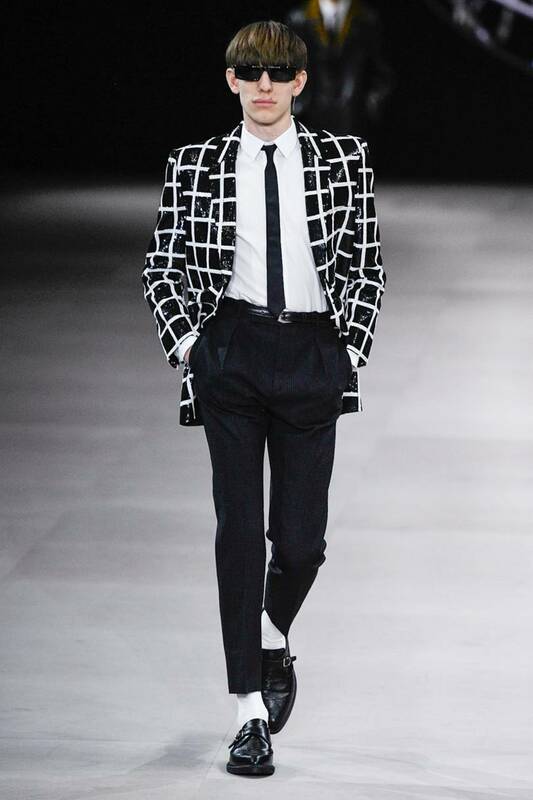 No matter how deep you search, the ultimate proposal of any of his collections – and indeed the one he showed on Sunday night – is in essence the brand of Hedi Slimane. Seasonal collections, however, are put in the world to propose something new for the immediate future. So how do you, as an observer of such collections, approach the work of a designer, who believes so strongly in a consistent point of view? 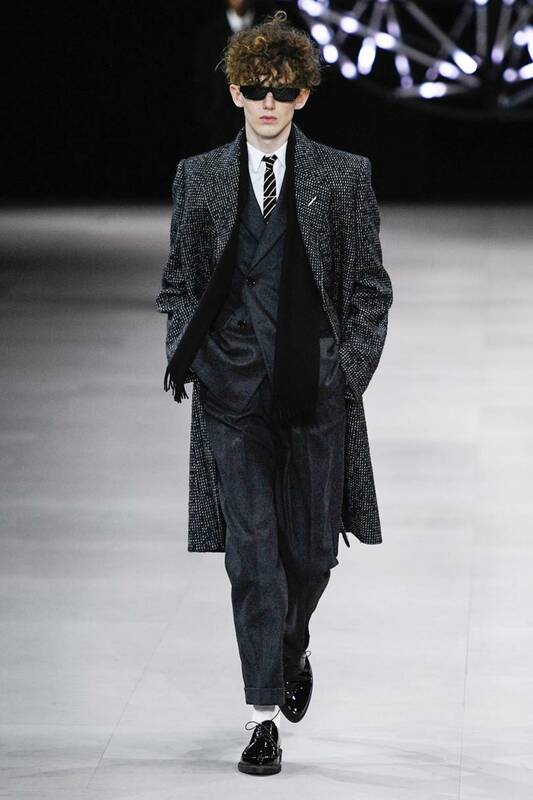 You could read into Sunday evening’s Celine collection and say that it proposed a more cropped and roomier tailored trouser, or that its suiting evoked the tie-wearing Patrick Bateman yuppie dad tailoring of 1980s’ Valentino; only cut for a much, much skinnier frame. You could talk about the glitter and sequinned pieces, which were no doubt of a notable artisanal value. 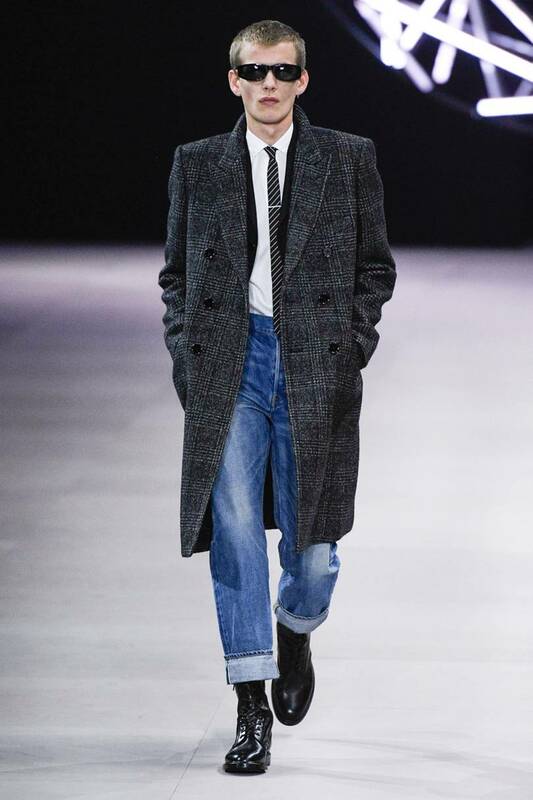 Or you could point out the obvious nostalgia – or was it wistfulness – that existed within the collection for the mid-2000s when indie music culture was at its high and everyone looked like the boys, who walked the 2019 Celine runway. 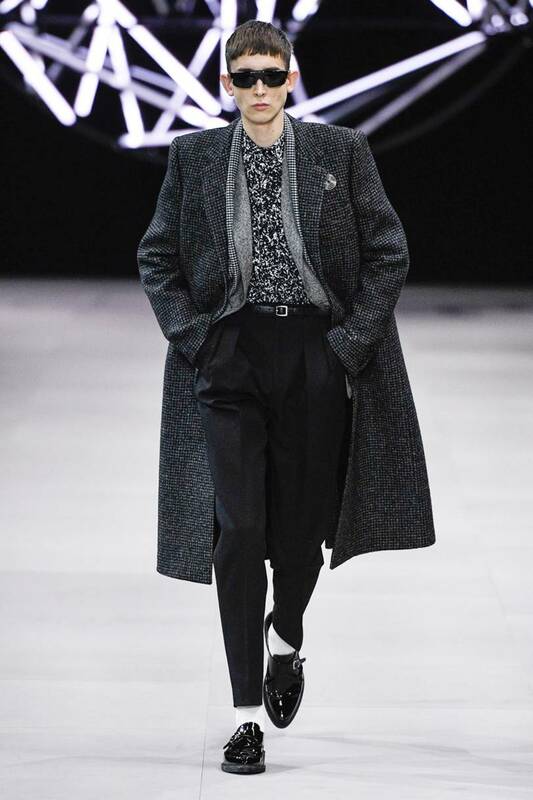 What has to be stated – for the sake of the history books – is that Celine menswear, which didn’t exist under Slimane’s predecessor Phoebe Philo, was brought into the world looking like this.